The development of the upcoming Rimac C_Two is running at full speed, with the Croatian company currently having 200 engineers working full time on the electric hypercar in order to get it ready for production. 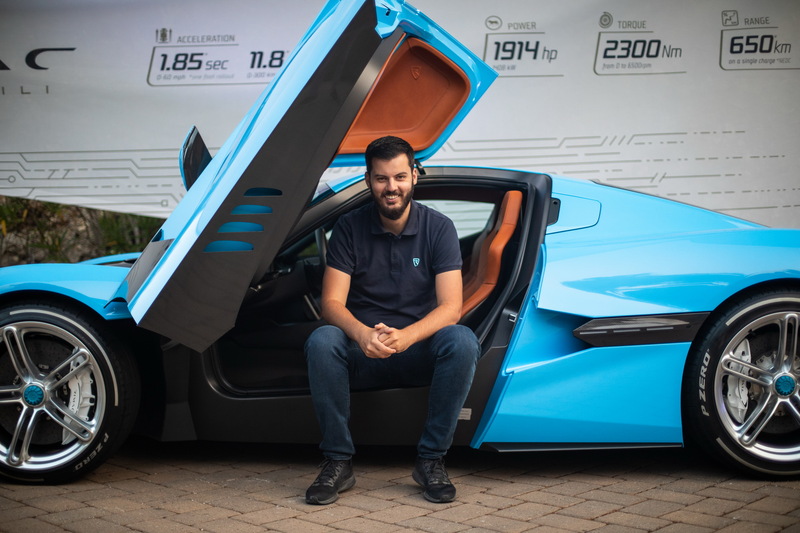 Road & Track talked to Mate Rimac about the challenges of the company’s second creation, which include building the first 30 prototypes in order to speed up the validation process. 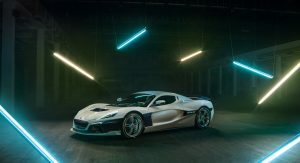 Rimac is currently battling with the C_Two’s weight, which is “quite above” their set target, so they are looking to replace no less than 222 milled aluminum chassis inserts with 3D-printed items made out of titanium. 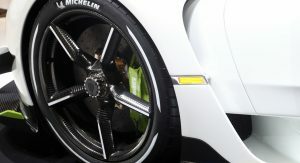 The solution will add a further $34,000 to their cost of a project whose business case is “already on the edge”. 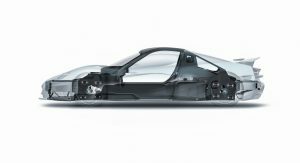 The Croatian company will have to find the solution to the weight issue within the next two to three months, because that’s when the crash testing procedure is scheduled to begin. 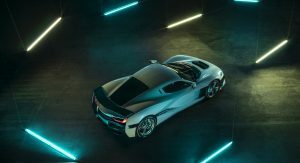 The Rimac C_Two will be based on the company’s own carbon-fiber monocoque chassis, which is the first to feature an integrated battery pack. 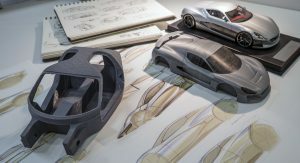 The chassis is a single carbon piece, and even the battery cells are structural elements. 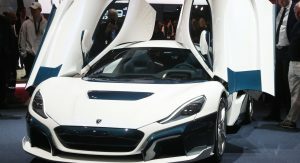 Compared to supercars like the Porsche 918 and the Bugatti Chiron, which also use a carbon tub but with front and rear subframes attached, Rimac’s monocoque has the suspension mounted on the full carbon fiber part that stretches all the way from the rear crash structure to the front crash structure. 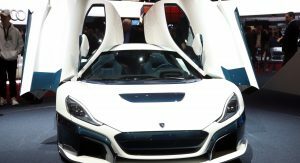 “We have people from Formula 1 working on this, and they said they’ve never seen anything like it”, said Mate Rimac. 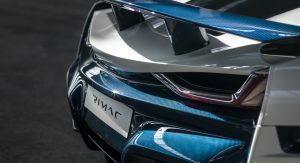 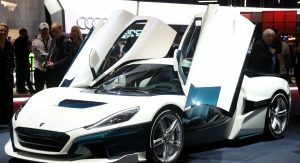 Rimac admitted that his company needed to cut the development costs of the C_Two in half, and that’s where Automobili Pininfarina came into the picture. 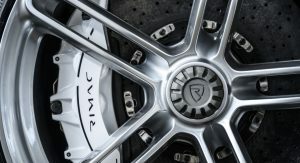 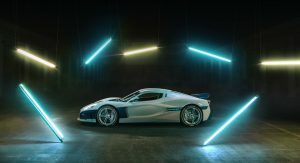 Mahindra’s new EV brand paid $91 million to Rimac to secure the C_Two’s platform and powertrain for the upcoming Battista supercar in an exclusive deal. 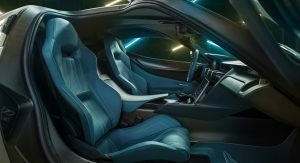 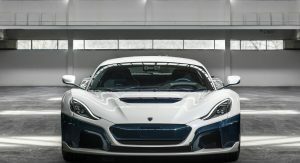 Rimac said that their near-2,000hp electric powertrain can replicate almost any car’s handling character, ensuring that the C_Two and the Battista will be sufficiently different. 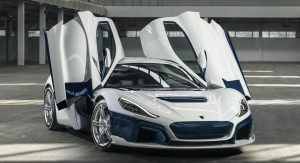 The $2.1 million C_Two is scheduled to hit the streets in 2020, with production to be limited in 150 examples worldwide. 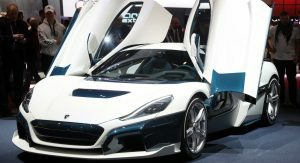 The electric powertrain combines four electric motors and the output is rated at 1,888hp (1,914PS) and 1696lb-ft (2,300Nm). 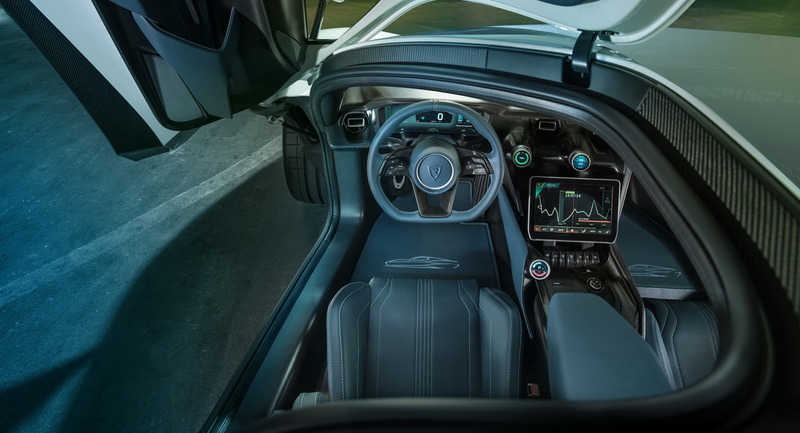 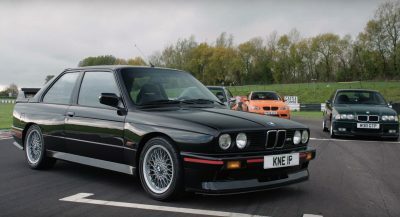 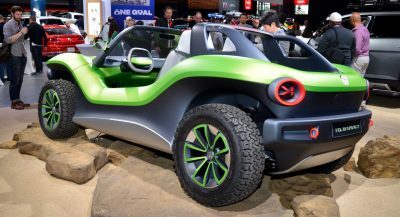 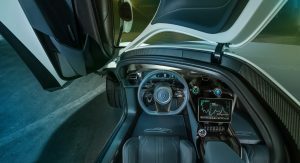 The drivetrain will also feature all-wheel drive torque vectoring and a fully configurable torque split, while a massive 120kWh battery pack will provide the necessary energy. 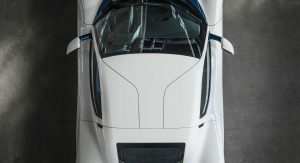 Acceleration will be mind-bending: 0-60mph (0-96 km/h) in 1.85 seconds, 0-100mph (160km/h) in 4.3 and a top speed of 258mph (412km/h). Despite the stunning performance, driving range on a full charge is expected to be around 650 km (404 miles) thanks to the high-capacity battery. 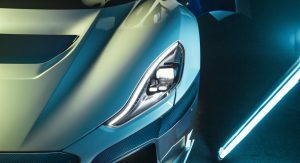 “It’s not just performance, it’s not just the numbers. 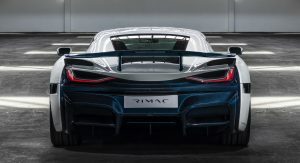 It’s a tour de force of everything, and as such, a huge undertaking”, added Mate Rimac. 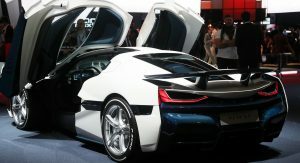 i8 and a McLaren had a baby. 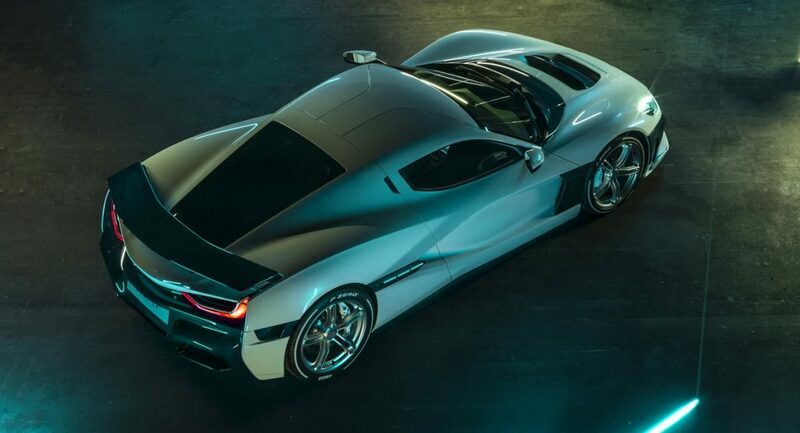 Or is it i8 and a Viper? 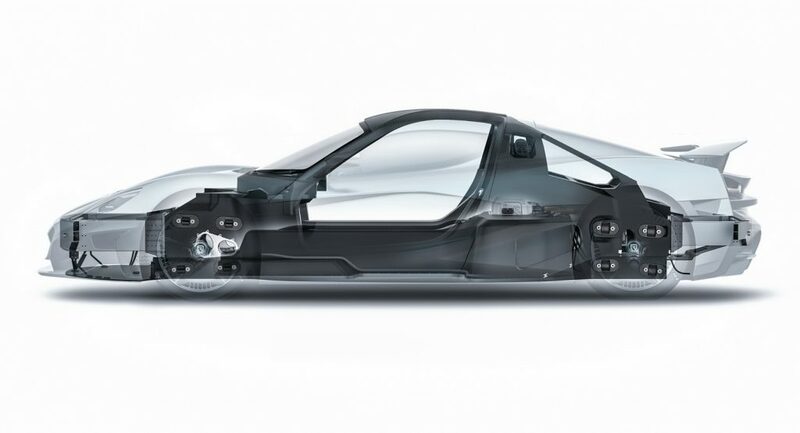 IF THE BATTERY IS INTEGRATED INTO THE CHASSIS I WONDER WHAT HAPPENS WHEN THEY NEED TO BE REPLACED. 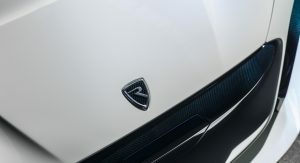 WITH ONLY 150 BEING MADE I GUESS OTHER MANUFACTURERS WILL BE TAKING ADVANTAGE OF ALL THE WORK WITH COACH BUILT BODIES. 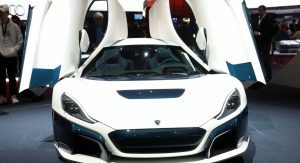 I DOUBT MANY PEOPLE HERE READ CROATIAN. 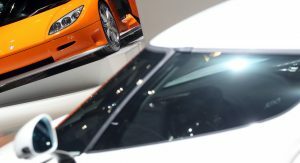 I HAVE NO DESIRE TO TRANSLATE A 170+ PAGE PDF DOCUMENT. 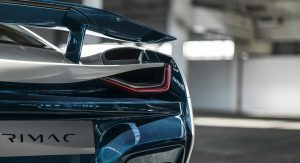 IF YOU WANT TO MAKE A POINT ON AN ENGLISH LANGUAGE WEB SITE POST IN ENGLISH. 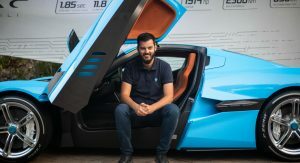 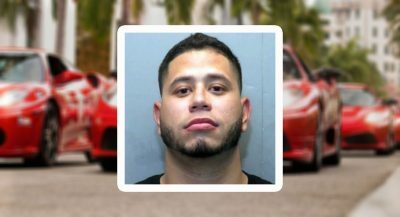 Rimac is no genius or inventor, with the money which his father Ivan Rimac stole, he buys components from various firms, like – AM Racing, and then says they are 100% R&D in Rimac automobili, and sells them as his own… He is also involved in Panama Papers money laundering.